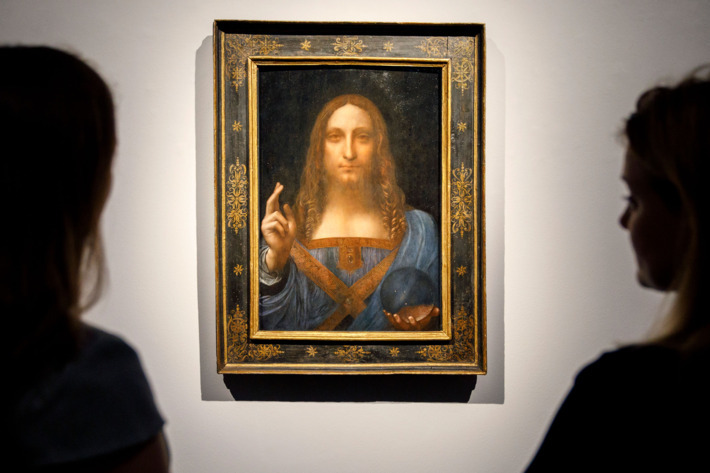 The highest auction bid record in Christies for a painting was 179.4 million USD before. It was held by Hamad bin Jassim bin Jaber Al Thani (part of Qatar royal family) who successfully bid and won auction for Picasso painting called “Version O” in 2015. Just to give perspective, please note that the 0.3 in 450.3 million dollars is actually 300,000 USD itself! This 0.3 is equivalent to a good 15 years savings for an average joe with a well paying job. The painting is generally accepted by experts as work of Leonardo da Vinci but also disputed by many. It is 1 of the 20 accepted works currently available and perhaps the first to be sold privately. It was widely speculated to be bought by the Saudi prince, Bader who is a close associate with the crown price Mohammed bin Salman. This week, it got revealed that he just acted as a middleman for United Arab Emirates who is a key partner of Saudi Arabia in the region. Thankfully, the painting will be showcased in the Louvre, Abu Dhabi and i will get an opportunity to view this with my naked eyes.